The boys defend New York City against Stay Puft in this awesome puzzle! 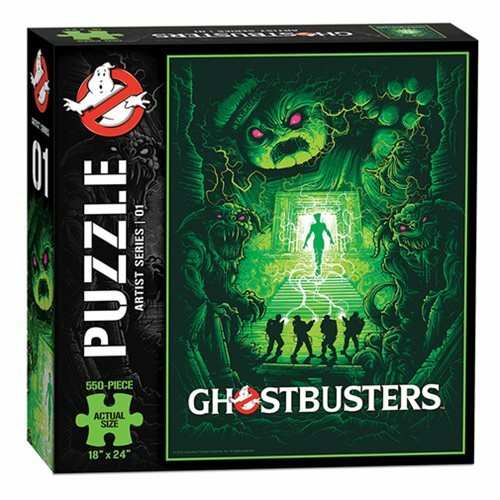 This puzzle features original artwork that was produced for the 30th Anniversary Ghostbusters Art Show. Measures 24-inches tall x 18-inches wide when complete. Ages 13 and up.